There are two popular theories about the possible end of the universe and both are based on the hypothesis that our universe is expanding. The first theory states that the accelerating expansion of the universe will result in galaxies getting further from each other and steadily cooling down until the universe becomes a totally dark and cold world. 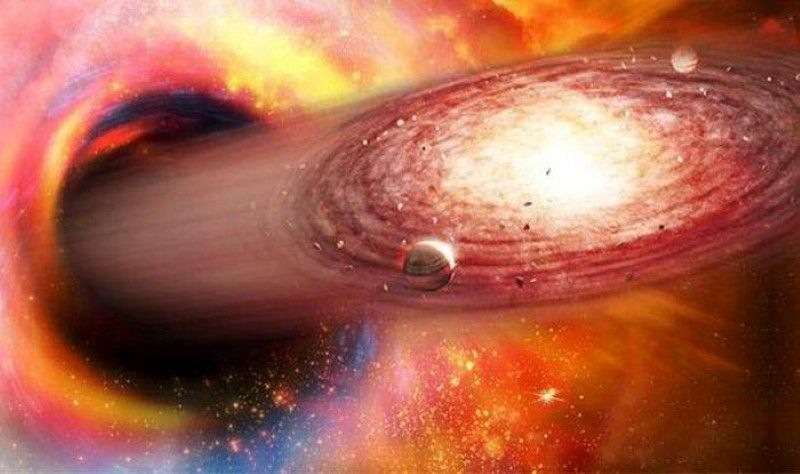 The second theory called “Big Crunch” claims that this expansion will eventually cause a collapse of the Universe, which will end as a black hole singularity. Now, it seems that there is another, third theory. To better understand it, let’s first take a closer look at dark matter and dark energy. Dark matter, which owes its name to the fact that it does not emit or reflect radiation, was discovered in the 1930s, when it was found that the mass of the visible matter was not enough to explain the gravitational effects of galaxies. In fact, the matter that forms planets, galaxies and all the celestial bodies in the universe corresponds only to 16% of the total matter in the Universe, while the remaining 84% corresponds to the dark matter. For several decades, the prevailing cosmological theory claimed that the expansion of the universe is slowing down. It has to do with the fact that the attracting force of gravity, which is the dominant physical interaction, has been slowing down the expansion of the universe since the Big Bang. However, two research teams, the Supernova Cosmology Project and the High Z Supernova Team, shocked the scientific community when they presented the results of their calculations in 1998. Having made more precise measurements of the rate of the expansion of the Universe, the researchers found that, in fact, it is accelerating! Then it was concluded that, in order to explain this accelerating expansion, the total mass and energy of the Universe must be dominated by an unknown gravitationally repulsive energy. This is what is called “dark energy” and what still remains unknown to science. According to the new theory, which was published in the journal «Physical Review Letters», dark energy interacts with dark matter, as a result of which dark matter is evaporating slowly but steadily. Thus, if the theory is valid, it will take many billions of years for galaxies and the rest of the universe to disappear. “This study is about the fundamental properties of space-time. On a cosmic scale, this is about our Universe and its fate. If the dark energy is growing and dark matter is evaporating we will end up with a big, empty, boring Universe with almost nothing in it,” says David Wands, director of the Institute of Cosmology and Gravitation at the University of Portsmouth and a member of the research team.